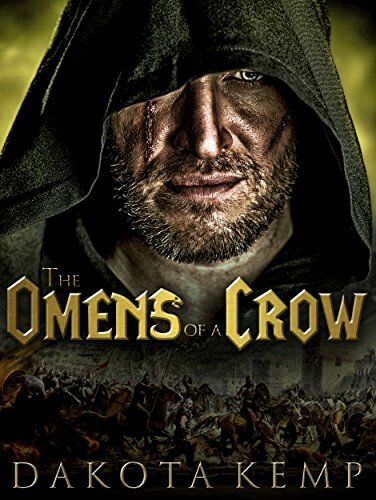 Wattpad just posted their interview with me for my Watty Award-Winning short-story, “The Omens of a Crow.” Check it out if you’re interested! 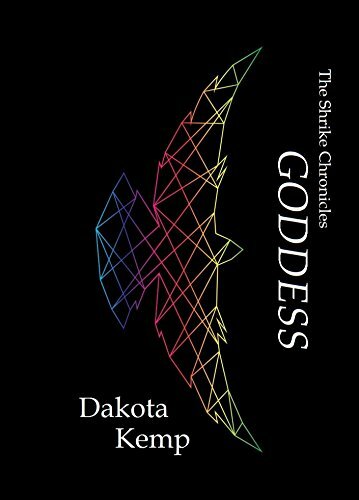 This entry was posted in Author Interviews, Uncategorized and tagged announcement, author, stories, storytelling, Wattpad, writing on November 3, 2018 by Dakota Kemp. I know it’s been a long time since my last post, but there’s a good reason for that. I was at the National Training Center in the Mojave Desert for a month-long field exercise. That counts as a good excuse, right? Anyway, I returned from exile to some exciting news: My latest short-story, The Omens of a Crow, won the 2018 Watty Award The Heroes! For those of you who aren’t familiar, the Wattys is an annual contest hosted by the reading/writing website Wattpad, who selects the best stories on the site from the pool of tales posted for the entire year. This year, 60 stories were selected to receive Watty Awards from a pool of approximately 164,000. Omens was one of them! 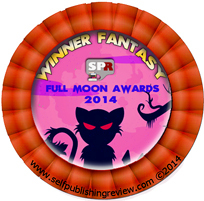 As I mentioned before, it received an award titled The Heroes. This award celebrates the stories that introduced us to characters we related to, who made us feel for them, who showed us a new way of looking at the world. A great character stays with the reader long after the story’s done – these stories did just that. They stand out in our mind, these characters you’ve invented. They’re flesh and blood and prose. Perhaps they’re demi-gods like Percy and anti-heroes like Achilles. They have the spirit of Katniss Everdeen, Bilbo Baggins, and the Pevensies as they take on adventure, and they instill fearlessness in us like Harry, Hermione, and Ron as they charge into the unknown. Their words mean something to us. They are our enemies, our friends, and our fantasies. They are our Heroes. They are flawed and complicated, but we can’t help but love them. We celebrate your imagination and the amazing characters that you have given us! I consider it quite an honor to have a story of mine compared to such titans as Percy Jackson, The Iliad, The Hunger Games, The Hobbit, The Chronicles of Narnia, and Harry Potter. Makes a man like me a little woozy. (Don’t catch me if I faint. Just let me sleep. I think I’ve earned the rest). This entry was posted in Uncategorized and tagged announcement, author, dark fantasy, stories, storytelling, The Omens of a Crow, Wattpad, writing on October 21, 2018 by Dakota Kemp. RWBY Volume 5 is over, which is the que for me to either cry with joy because we have another season to enjoy in its entirety or weep because I have to wait another who-knows-how-many months for RWBY to start up again. If you’ve read my Volume 4 analysis, you already know how I feel about RWBY. Put briefly, I love it. RWBY and RoosterTeeth (the small entertainment studio who produces it) are awesome. The following post consists of all the pros and cons I felt made an impact on the Volume 5’s overall quality. OBLIGATORY SPOILER WARNING – Don’t continue reading if you’ve not watched RWBY Volumes 1-5. Unless you’re one of those weirdos who enjoy knowing what’s going to happen. In that case, keep sucking the joy out of good stories, ya freak. It’s a free country. Boy, am I ever happy to have all the storylines coming back together. One of my biggest complaints with Volume 4 was that RT tried to change RWBY into a show with multiple, world-spanning plotlines. I have no problem with this if ample time is allowed for something of such magnitude. That is not the case for a show like RWBY, where we have roughly three to four hours per volume released in 15-to-30-minute segments. If RT ever decides to expand its volumes to 6 hours with 30-to-60-minute episodes, maybe RWBY could swing such a change. As it is, I’m glad RT has pulled all the disparate storylines back together. It’s going to work much better in the long run. I cannot get enough of Yang. Her character arcs each volume have been among the few done consistently well. This volume was no different. Still struggling with PTSD and deep-seated abandonment issues, Yang comes through – again – as both a role-model and a stellar character. While I do have a lot of issues with the ending of the volume, RT managed to bring Yang’s arc to a poignant and powerful conclusion in her verbal standoff with Raven. What symbolism! What revelation! What good storytelling! I think it was overlooked by a large number of RWBY viewers, but the contrast of Raven and Yang in the final scene was fantastic. Yang is told throughout the preceding seasons that she is like her mother. She’s the indomitable firecracker; everyone sees Raven in her that way. But at the conclusion of Volume 5, we see that Raven – who Yang has always longed for and felt a certain connection to because of the aforementioned similarities – is not like Yang at all. Raven is a pale imitation, a broken, hypocritical mockery of Yang. Raven is the false face of courage and strength, a façade of bravery covering a selfish heart. Yang is a counter to that. The genuine symbol of facing your fears, of true courage. What a neat contrast. Guys – ugh, I don’t know how to say this – the fights are just…kind of…lame now. Action is not why I watch RWBY, which you know from my Volume 4 analysis. Great action is a bonus for me, not an essential part of a solid story, but RWBY has capitalized off of some incredible action in the past. That is not so true anymore. The fights have been lackluster since 1) the death of Monty Oum, 2) the departure of Shane Newville from Rooster Teeth, and 3) the switch from Poser to Maya. Now, I’ve designated this as a con and pro because while the fight scenes are still a far cry from Monty’s Poser masterpieces, they have improved immensely from Volume 4’s nonsensical battles devoid of any kind of established physics. That’s my huge pro for the fights this season. Thank you, thank you RT for introducing physics back into your fight scenes. No more Nora flying in spirally circles for unknown reasons, thank God, and for that I’m grateful. Yang’s fight with the bandits is a nice little action piece and a good example of the return to cause-and-effect, physics-driven combat. Raven vs Cinder had some questionable stuff, but at least there I can chalk up some of the physic-breaking to magical powers. Also, Sun’s gunchucks finally made a reappearance. YEAH! I love those things. Now to the con of the issue. Yes, the fights improved from last season by reintroducing physical rules, but they’re still a far cry from most of the Poser combat. Pyrrha vs CRDL, anyone? Holy beatdown that was awesome. Pyrrha vs Penny? Pyrrha vs Cinder? (Guys, I miss Pyrrha. It’s a clinical condition at this point.) How about RWBY & JNPR vs the Nevermore and Death Stalker? Or RWBY vs Torchwick and Co.? There are too many remarkable fights to list them all here! What happened? (Maya happened. It looks great for aesthetic, but it has hampered the combat.) I guess I should just label this #ImissMonty. Here’s the thing: I saw it coming. I totally called that Raven would be the Spring Maiden, but I’m pretty sure I’m one of a very few people who did, because the RWBY fandom’s collective mind exploded onto the comment section when Raven removed her mask to reveal magical-flaring-maiden eyes. This was a well-executed plot twist on Rooster Teeth’s part. Not only did it succeed in taking the vast majority of the audience by surprise, but it did so without coming out of left field. Go back and watch through Volume 5 again; you’ll kick yourself for not seeing the signs. The fact that Raven wore her mask during the confrontation with Cinder and Co. at the bandit camp is what made me suspicious. We never saw Vernal’s eyes light up as both Amber and Cinder’s had when using maiden powers. Raven telling Vernal not to use her powers against Weiss clinched it for me: Vernal could not be the Spring Maiden, and Cinder was about to get a nasty surprise. RT did an incredible job of pulling off this plot twist with just the right amount of hints and foreshadowing. Very well done. This was a great season in my opinion. Much better in every conceivable way to Volume 4, which suffered from a general aimlessness. That being said, Volume 5 suffered from its own share of pacing problems. Now remember, I’m the guy that won’t ditch RWBY because I’m not getting enough eye-popping action, but the amount of sheer exposition is this season is a bit overwhelming. Then, after extended periods of talking, talking, filling the audience in with monologues, and yet more talking, we get to an action scene. I could go on, but I might intrude on the next con’s territory. So let’s go ahead and jump into that, since it’s connected to the pacing problems. RT had a serious problem delivering on anticipation this volume. Plot revelation after plot revelation, potential fight after potential fight – RT continued to set up exciting scenes that they then never delivered. People were getting angry. Very angry. I wasn’t in the camp of those pitching fits and threatening to stop watching RWBY altogether. I thought many such viewers were being far too venomous with their criticism for a show and company that literally stakes its reputation on fan input and interaction. However, I will admit that these rioters had a point. RT failed to deliver on a lot of drama, action, and tension that they themselves hyped. In essence, this season got into a bad habit of making promises that they not only didn’t keep, but kind of yanked away at the last moment. Most of the disappointment viewers felt about the volume’s climax (the last few episodes) had to do with RT not delivering on expectations they’d built up throughout the season. That this is both a pro and con should surprise no one who knows me, because I regularly both rail about and begrudgingly praise RWBY’s animation since Volume 4’s release. Does the Maya animation introduced post-Beacon look fantastic? Absolutely. Would I have RT switch back to Poser animation for the remainder of the series? In a heartbeat. Geez, guys. Poser is the canon RWBY look, and always will be. That’s why the new stuff will always be at least partially a con for me. It doesn’t feel 100% like RWBY anymore and hasn’t since we left Poser at the end of Volume 3. Some of the characters feel different as well with the Maya visuals, and that disparity in appearance is always going to bug me. The Poser look was unique. It helped RWBY stand apart from other shows. Now it looks much akin to other anime, and I personally feel that to be a loss. RWBY shouldn’t try to be like anything else. It’s RWBY! An anime, video game, westernized storytelling mashup, and that individuality is a huge part of what makes it special. Monty picked Poser for his creation, there was a reason for that, and part of the spirit of the show departed not only with Monty, but with the switch in visual style as well. HOWEVER, the visual quality this season is fantastic. I’ll be the first to admit that RT Animation is getting better and better at putting out a gorgeous show. No one can accuse RWBY of looking cheap anymore. It’s now unquestionably professional-level. Maya animation vs Poser. I prefer the classic Poser style, but this comparison shows the stunning visual detail Maya provides over its predecessor. Everybody loves Yang. Everybody loves Weiss. But they are characters we rarely associate with each other, despite being teammates in a tight-knit family. This season we got to see some long-overdue interaction between the two of them, and the manliest of tears were shed as a result. (Not by me, of course. Other people who might have felt emotional at Yang/Weiss’s very touching reunion and bonding scenes.) I just had something in my eye. That’s all. I may need to go to the hospital to remove all the debris in my eyes. Why have we not seen the gunchucks since the BlackSun vs. Torchwick fight in Volume 1? I mean, the gunchucks are freakin glorious. Why wouldn’t Sun break those bad boys out a bit more often? How can swinging a glorified quarterstaff be as effective as shotgun nun chucks? Use the most lethal weapon in the arsenal a bit more often, buddy. Maximum combat effectiveness, maximum badassery, and maximum aesthetic style all in one sweet weapon package. Blake won’t be able to resist Sun’s manly charms for much longer if he keeps whippin’ out the big guns. And speaking of the monkey god himself, Sun is just awesome, right? He is steadily growing to be one of the best characters on the show, and there’s no question at this point (in my mind) that he’s one of the best role models RWBY has to offer. What an optimistic, caring, selfless guy. So he’s a bit awkward sometimes and makes cringeworthy jokes. So what? Everybody’s got their faults, and what few Sun has are really less faults and more endearing quirks. I have heard some excellent counterarguments in the past, mainly along the lines that Sun is a flat character, that he has no motives or goals of his own. There could be some truth to that; it’s a good observation. I, personally, feel that Miles and Kerry have made it pretty clear that Sun’s motivation in life is service. He literally just wants to help people (which can be seen in most if not all of his actions), and he especially wants to help those he cares about. That’s a pretty awesome purpose for your life, and it makes me respect and appreciate him much more than when I thought he was going to be that overused devil-may-care love interest. (That was my initial impression when he appeared in Volume 1. I’ve since learned better.) Bottom line: Sun’s a great character and I can’t wait to see more from him in future volumes. Sorry, guys. It’s time to switch back to some cons after that happy spree of pros, and the first is the flood of emotional flops. The dramatic moments came fast and furious this Volume – how could they not? Team RWBY gets back together! Yang finally finds her mom! Blake’s longtime friend tries to kill her parents! Abandonment issues! Dastardly betrayals! Revenge fantasies! The list goes on and on. This should be a gut-check of a season based off of the content it covers, but most of the scenes that could have elicited powerful responses just fell flat. Don’t get me wrong, there were some beautifully handled moments – Weiss and Yang’s reunion, Ruby and Yang’s reunion, Qrow’s realization that all his Mistral friends are dead – but the majority of the emotional content didn’t provoke a good payoff. Ilia’s struggle to rediscover a conscience and Blake’s determination not to give up on a friend? That should have evoked redemption feels of the highest caliber. It didn’t. It kinda felt like attempted murder that conveniently halted once it became clear the jig was up. Raven tries to kill her own brother? Meh. Yang’s faceoff with Raven at the volume’s conclusion? While I loved the character comparisons, symbolism, and themes, the climactic moment itself was pretty bland considering it was a discovery that Raven is basically a version of Yang who’s been consumed by fear. These are but a few examples. A lot of emotional moments were completely overlooked or strangely mismanaged, and it’s hard to put a finger on why. By the way, do you notice anything about the well-handled moments in comparison to the poorly handled ones? They’re short and poignant. They’re moments that seem to speak for themselves. Very little is said, and very little needs to be said. (RT excels at these snapshot moments.) It’s only when the scenes and topics are dragged on and pontificated upon that they tend to lose emotional punch. My advice for Miles and Kerry would be to focus on what they do well, (Brief, poignant moments) and use huge emotional aces only when it is absolutely crucial to RWBY’s overarching series plot. (Ex: Volume 3’s conclusion.) I wish I had more constructive criticism to give here, but I don’t. I can only say that emotion should have been welling out of me at some of the heavy scenes, and it just…didn’t. I can’t even say why. All I know is that those moments didn’t do what they were designed to do: inflict the audience with major feels. Nope. He’s just okay helping burn the entire world so he can get revenge on Ozpin for something that is difficult to pin on the headmaster in any logical way. Great. It seems super lame, that’s all, and a completely illogical motivation for trying to bring about the end of the freakin world for Remnant’s version of Lucifer. Gretchen Reinhardt was a person with a purpose, who made a conscious decision to join a very dangerous profession in order to help people, knowing full well that it might cost her life. And, yes, it did. How does that have anything to do with Ozpin? Yes, he is in charge of training future huntresses. Training to do something extremely dangerous strikes me as something that carries a large degree of risk in and of itself. Could he have been negligent in some way? Possibly. It’s not discussed. Based on what we know at this point, Hazel’s reasoning is weak all around. A better idea would be to say she died fighting against Salem. After all, it’s already been established that some people think Oz recruits a bit underhandedly for his fight against his nemesis. There are characters (and fans) who are still bitter about how Oz “maneuvered” Pyrrha into what they view as an inescapable decision or even blackmail. If she had died in the fight against Salem, Hazel could have reasonably rationalized blaming an unscrupulous, power-hungry immortal using anything (or anyone) necessary to overcome his rival, including emotional manipulation. RWBY’s music has always been fantastic in the past, and that has not changed with Volume 5. In fact, “The Triumph” may be my favorite intro song yet. (This is saying a lot. “This Will Be the Day,” “Time to Say Goodbye,” and “When It Falls,” are all just incredible.) Jeff Williams continues to nail this show’s themes and atmosphere with his music. Personal Responsibility Con – Does Justice Mean Nothing? I have a problem with the Ilia storyline this volume, especially with the way it resolves (with Blake forgiving and trusting Ilia completely). Let me be clear, I have no problem with forgiveness. It’s one of the best, most wholesome actions in the world. I’ll go into more detail on the value of forgiveness after I finish with this rant on justice. Does no one else have a problem with Blake’s blanket forgiveness, acceptance, and trust of Ilia? No? Just me? Like, what the hell? I don’t care if she was a good friend in the past. She tried to MURDER her parents and destroy everything she loved. Then – oh, this is good – when the nefarious plot fails, Ilia switches sides at the last plausible moment. ARE YOU KIDDING ME? She was willing to kill her family not a half-hour before! I’m not saying Ilia’s conversion is not genuine. (Though I would counsel Blake to be more cautious. Why would she have Ilia of all people disarm the bombs at Haven? If Ilia had been shamming to escape punishment, that would have been the perfect opportunity to just…you know…leave the bombs active and ensure Adam’s success). I think that Ilia has seen the errors of her ways and realized Blake is right. But I also have a strong sense of justice. There are consequences for our actions, and there should be consequences. Do I think Blake should forgive Ilia? Absolutely. That’s a wonderful message and the best thing Blake could do. However, that forgiveness should be on a personal level. Personal. Not in a societal or consequential sense. Revenge and retribution are detrimental and evil sentiments. I think it’s fantastic that Blake wanted to help Ilia. I think is wonderful that she doesn’t wish to “get back at” Ilia for trying to kill her family. Vengeful glee at Ilia’s downfall or incarceration would not have made me proud of Blake. Her mercy, understanding, and forgiveness did. But that is a personal sentiment, something she should absolutely embrace on a person to person basis. Ilia’s crimes are bigger than that. They are beyond the personal. She tried to do downright evil things that affect human (or faunus) society as a whole. Attempted murder (not of just any individual, but the leader of Menagerie, which makes it political assassination), blackmail, coercion, treason, and terrorism. Many RWBY fans seem to be skimming over a rather damning list. This is not the petty crime of a misguided teenager; this is serious international terrorism. Such actions should have appropriately serious consequences. Taking Ilia’s unique circumstances into account can certainly have bearing on the result, and that is where mercy, empathy, and compassion can play a role, but for society’s sake and the sake of justice, there need to be consequences for her very real and dangerous crimes. Blake should forgive Ilia and be there for her, yes, but she should also allow her to bear the consequences that her decisions have produced. Forgiveness is good and essential, but so is justice. I think we often forget that. Now, all that rant being said, I loved the theme of forgiveness in Blake’s storyline this volume. What a beautiful and essential message, especially in today’s vicious social and political climate. It wasn’t preachy. It wasn’t forced down the audience’s throats. It was a subtle, gentle reminder that personal responsibility, forgiveness, understanding, and love are ultimately how people change the world for the better. Blake never gave up on Ilia. What a great story arc with multiple applications for our own world. I cannot stress enough that RT did a fantastic job of presenting this concept for our consideration without pushing an agenda. Blake’s speech has a beautiful simplicity to it that highlights the wisdom at its heart. If only we were all so wise beyond our years. I certainly wish I was. Blake has come a long way since the end of Volume 3. From a scared, angry, and conflicted young woman running from her past, she’s become a wise, confident, and purpose-driven leader who has decided to confront her mistakes and learn from their lessons. Adam had such power over her in Volume 3. Terrible power. Because she had allowed her past mistakes to paralyze her. At the end of Volume 5, we see a very different dynamic between the two. Blake is now the one in control of their relationship because Adam cannot move beyond their history. He is still stuck in the hatred, spite, and hurt of Blake’s leaving him. She, on the other hand, confronted who she’s been, learned from it, and grew as a person. My explanations do not do it justice, but I like the intertwined character arcs and the opposing paths they explore: One of a person who uses the past as a crutch, and the other who uses it as a catapult. Good stuff. This is neither pro or con, just an observation I want to discuss. Everyone, with the exception of me, seems to think that Cinder is dead. I have a hard time believing that plausible. Yes, I know she got beat up by Raven, encased in ice, then thrown down a massive hole, but hear me out. In the single confirmed instance we’ve seen a Maiden die (Amber), we see that her power transfers immediately upon death. We see the power come out of her body and fly into Cinder onscreen. Now, consider: Cinder would be thinking about one of four people when she died – a) Raven, who just defeated her and threw her from a cliff, b) Ruby, who is her obsession, c) Emerald, her protégé, or d) Salem, her mistress. Any other candidates, known or otherwise, would be improbable based on what we know of Cinder thus far. With the exception of Salem (who I believe to be incapable of directly receiving the Maiden powers because of age or…otherness), we would have seen any of these candidates receive the Fall powers. They were all there where we could see them during Cinder’s fall (heh heh). We do not witness anyone suddenly receiving powers, thus, the logical conclusion is that Cinder is alive. Possibly much more mangled, but alive. With the accumulated damage from Ruby’s silver eyes and that plunge, we might see only a scarred sack of flesh in a dress next volume, but Cinder will be around in the future to further frustrate our heroines and heroes. Despite a lackluster ending, Volume 5 was an entertaining addition to RWBY, and a step up from the dip the series took in Volume 4. Has it yet returned to the quality of The Beacon Trilogy? Not in my opinion, but the transition from essentially a boarding school setting to a world stage is a huge and difficult undertaking. I’m sure it will continue to entertain, excite, and challenge us in the future. Ultimately, RWBY is about people – people who live in a fantastical world and deal with fantastical problems – but people who struggle just as we do to find our way. It’s specifically about a group of people who care about each other, want to help others, and be the best people they can be. And that’s why I love RWBY. I identify with that, and the most important part of a good story is identification with the characters and themes. Whether its dealing with past mistakes, feelings of impotence, parental expectations, the burdens of leadership, or any number of other things, I think everyone can find part of their personal struggles in the RWBY cast, and that marks RWBY as a stellar tale to experience. That’s about all I have. I hope you enjoyed my take on RWBY Vol.5! What are your thoughts? I can talk RWBY all day, so let me know your opinions, dissenting or otherwise! Also – RWBY fans, I’m sure this applies to you – if you love Science Fiction or Fantasy, be sure to try out my books. 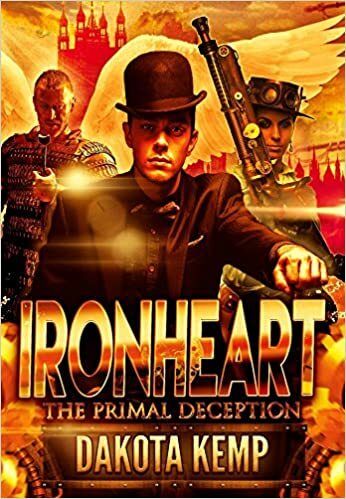 Ironheart: The Primal Deception, The Arrival, and Goddess are all available on amazon! Thanks for reading! This entry was posted in Required Stories, Uncategorized and tagged anime, Blake, reviews, Rooster Teeth, Ruby Rose, RWBY, RWBY Volume 5, Weiss, Yang on April 8, 2018 by Dakota Kemp. I promise I’m not dead, just busy. I’ll have some new content up soon! I’m continuing to work (very slowly, but it’s happening) through Ironheart’s sequel. This entry was posted in Uncategorized and tagged amwriting, Brandon Sanderson, Oathbringer, RWBY, writing, Writing update on March 27, 2018 by Dakota Kemp. Bookshelf Q. Battler recently asked me to participate in an author interview for his regular column, “Fridays with BQB.” Take a look, and check out BQB’s other hilarious content while you’re there! North Dakota? South Dakota? He’s just Dakota. Dakota Kemp first flew under my radar when he asked a question of my resident alien brainiac, the one and only Alien Jones. After participating in that tomfoolery, I knew he’d fit in as a friend to my fine blog. He grew up in Oklahoma, which, as you may have heard from the musical of the same name, is the place where “the wind comes sweeping down the plains.” Odd, I never really thought of Oklahoma as a windy place. Seems like there’d be a lot of dirt, and hot weather, and rattlesnakes and tumbleweeds, perhaps a vulture circling around in the air, waiting for you to drop from heat exhaustion so your carcass can be his next meal. This entry was posted in Uncategorized on March 11, 2018 by Dakota Kemp. The Witcher! Geralt the Riv! Ahhhhhhh! Okay. Sorry. I’ve calmed down now. So here is the deal: Netflix is producing a television show based on Andrzej Sapkowski’s Polish dark fantasy series. I know, I know – old news. But I’ve been out of the loop (aka in training camps) for about eight months now, so it’s new for me since I missed the initial announcements. Promo poster from CD Projekt Red’s The Witcher II: Assassin of Kings. For those of you who don’t already know, I am a huge fan of The Witcher novels, as well as the critically acclaimed video game adaptations that helped the enormously popular fantasy series gain major traction here in the U.S. The Witcher novels are fantastic in their own right – I’ve read all the books several times and I love them – but they were famous mostly only in Poland because they never received translations into other languages. CD Projekt Red (a Polish video game company) changed all that when it bought the rights to produce a RPG franchise based on Sapkowski’s novels. That could have been the end of it. After all, many ambitious projects have flopped horribly upon release. But CDPR was different. They had great respect and love for the books behind the project. That passion and dedication to stay true to the source material produced one of the most critically acclaimed franchises in gaming history. (The Witcher III alone won over 250 Game of the Year awards). The world, characters, cultures, and politics felt so real, deep, and complex for a video game. RPG gamers around the world were mindblown. The Witcher universe exploded in popularity among English-speakers, and the book industry capitalized on this, rushing to put out translations for the books so that fans could get more Witcher – so they could get the original Witcher. What fantastic novels. What incredible games. What real characters and what powerful themes. In my personal opinion, from Sapkowski’s first short story about Geralt to the last game, the Witcher universe has been handled very well. Which leads to my extreme excitement for a television series. Despite the author’s recent departure from the Netflix project, I have high hopes that this could be one of the best television shows ever. It just has so much potential behind it. (Sapkowski is notoriously hard to work with when it comes to his books, so I’m not terribly concerned that he is not participating in the television production. The fact that he has not completely denounced the project is decent proof to me that the adaptation is being handled with care.) Many of the people who were involved in the book-to-game adaptation process are also at the helm of the Netflix production. They clearly care deeply about the source material, as shown by their dedication to bringing the essence of the books into the games, and I can only hope that they will continue to show the same fervor. The Last Wish – The first of The Witcher tales by Andrzej Sapkowski, The Last Wish is a collection of short stories about Geralt of Rivia, and a must-read for fantasy readers. (Caution: Don’t give these to your kids. The Witcher novels are quite dark and can be very graphic. Of course, I’ve been let down by people I’ve trusted before. (Peter Jackson, what happened between The Lord of the Rings and The Hobbit movies? Seriously? Talk about losing sight of the intrinsic soul of a story. I’ve never seen such a 180 degree turnaround. LOTR was a masterpiece adaptation; The Hobbit movies were traditional Hollywood letdowns.) BUT I’m choosing to believe we’re going to get a great translation for The Witcher. It’s all right there on a silver platter in the books. Netflix, don’t mess this up for us. Geralt is important to many, many people. He is such a unique character. DO NOT turn him into just another macho, monster-slaying, wench-laying, tough guy. Does he have those characteristics sometimes? Absolutely. But he is so much more than that. Such a nuanced, wonderfully-written, complex character. Just like all characters in The Witcher. I can’t wait to see them all brought to the screen. Anyone else out there Witcher fans? I, for one, am ecstatic Netflix is trying to capitalize on HBO’s success with Game of Thrones. Do you think their adaptation will be loyal to the source material? Or will it be another Hollywood book mutilation? Let me know! This entry was posted in Uncategorized and tagged Andrzej Sapkowski, CD Projekt Red, fantasy, Geralt of Rivia, Netflix, The Witcher, The Witcher 3 on February 10, 2018 by Dakota Kemp.